Maximum Purity Whey Protein Powder With Zero Lactose, Trans Fat And No Added Sugar! 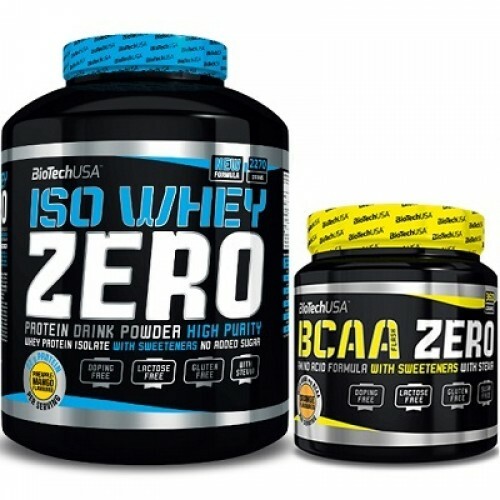 ✔ Best Of The Best Whey Protein Isolate! 88% Iso Whey Zero Blend [cross-flow micro- and ultra-filtered whey protein isolate), Amino Acid Complex (L-arginine HCL, L-glutamine, L-leucine, L-isoleucine, L-valine)], flavour enhancer (glycine), thickner (sodium carboxymethyl cellulose), palm fat, coconut fat, flavour, emulsifier (soy lecithin), vanillin, sweetners (sucralose, steviol glycosides), colour (tartrazine).